The HYLETE offering is now closed and is no longer accepting investments. Pioneering an ecosystem to change the landscape of fitness. "We started HYLETE in 2012 with a goal to build a fitness brand with a direct connection to its customers. We made this goal a reality by creating the best cross-training short on the market, and selling it direct to consumer (bypassing traditional retail). With over 150,000 customers, HYLETE has evolved into the first community-driven brand targeted at the lifestyle of functional fitness - designing, and building men’s and women’s premium performance apparel and gear. We do this with the support, input, and feedback of the “HYLETE nation” community, 10,000 of which are influential fitness professionals. In 2016, HYLETE generated $6.9 million in revenue, contributing to greater than $19 million in revenue since inception. In 2017, we will continue to not only add to our array of premium performance apparel, but will be launching an extended lineup of backpacks and bags. For December of 2017, we have targeted the launch of our first functional fitness shoe that will allow users to select from a system of insoles to maximize the performance, comfort, and safety of their workouts. Our vision is to create a dynamic fitness “ecosystem” that we believe can ultimately change the landscape of fitness. 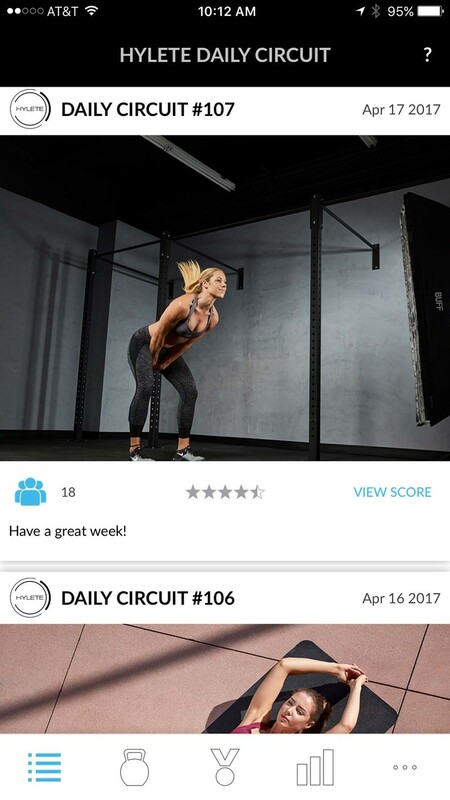 The next step in the continued engagement and growth within our community, is the introduction of the HYLETE Daily Circuit App. This App is designed to deliver a workout regimen that maximizes an efficient combination of endurance, strength, and cardio circuits to forge a healthier, happier lifestyle. Our ultimate success in developing this new ecosystem will result in physical and virtual locations, whereby the HYLETE community will assemble to experience a functional fitness lifestyle in an efficient, fun, and fresh new way. With our unique approach, trust of our community, and this new evolution in crowdfunding, we are poised to change the future of fitness. We hope you will take the time to learn more about us, and join us in creating positive change in millions of lives." If you invest, you&apos;re betting the company will hold a future value greater than $26 million. Investment opportunity available to accredited and non-accredited investors, with $250 minimum investment. All investors will receive a VIP Investor account that will entitle them to 50% off all purchases on HYLETE.com (Excludes clearance, co-branded, and project items). The functional fitness market is already significant and by pioneering an efficient and fun ecosystem that is built with the input, support, and feedback of our HYLETE community provides a new opportunity to engage and keep millions of people living healthier and happier lifestyles (rather than jumping from fitness fad to fitness fad, or deciding to give up on a fitness lifestyle). Our sales have grown an average of 50%+ per year since inception, and we are targeting growth to over $20 million in revenue per year by 2019. Over 150,000+ customers including 10,000+ fitness professionals have joined the HYLETE nation since 2012. 2016 saw the introduction of some of the most innovative and sought-after product HYLETE has ever designed. Our backpack line grew with the addition of the new icon 6-in-1 backpack. The icon backpack has 6 configurations, including a removable daypack with laptop sleeve. The flexion collection introduced flexion fabric to our line of men’s performance apparel, by way of the flexion jacket, flexion short, and flexion pant. Our goal to continually innovate and push the limits of what we build for the HYLETE nation was showcased with the arrival of the women’s nimbus caprite, featuring an adjustable length that can be worn as a capri, or a full length tight. HYLETE is fueled by the support, input, and feedback of a passionate community, referred to as the “HYLETE nation.” With over 230,000 followers on various social media platforms, the HYLETE nation continues to actively participate in the growth of HYLETE’s online presence. The Circuit Challenge for Charity is an annual, fun-spirited fitness challenge built to benefit HYLETE’s supported charities. Taking place in the Spring, participants are delivered a weekly circuit challenge for four weeks. HYLETE donates $1 per each participation score that is uploaded. In 2016 over $5,000 was raised for the participating charities. The HYLETE nation&apos;s feedback and input inspires future product ideas. HYLETE project provides the community with the opportunity to bring product concepts to reality under the theme of: "You back it. We build it.” When a product is fully funded through HYLETE project, it is put into production and when available, shipped directly to the backers. The HYLETE charity program supports charities that share the same core beliefs of the HYLETE nation. Handpicked for their clear vision and genuine compassion, participating charities receive fifty percent (50%) of revenue from their charity apparel sales on HYLETE.com. In 2017, HYLETE hopes to raise $100,000 for participating charities. For December of 2017, we have targeted the launch of our first functional fitness shoe that will allow users to select from a system of insoles to maximize the performance, comfort, and safety of their workouts. 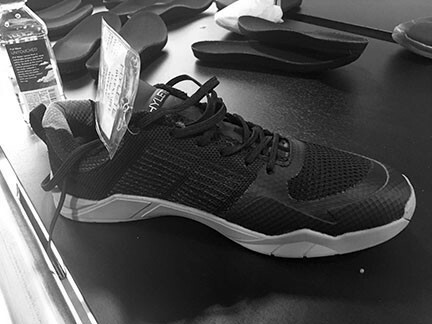 Each insert is designed to work within the shoe itself, with the goal of reducing the number of shoes (and 3rd party inserts) that you would potentially purchase for your fitness lifestyle. The HYLETE Daily Circuit training program is designed for a lifestyle of functional fitness that strives to maximize its effectiveness through a combination of endurance, strength, and cardio circuits while minimizing the time commitment required. Energy and effort must be put into the program to achieve the results, but the goal is to make the time spent as efficient as possible. The HYLETE Daily Circuit is designed to be executed at 80-90% of max output so that participation in other athletic and/or fitness endeavors can be intermixed and enjoyed and NOT be impeded due to excessive soreness or injury. Participants of the HYLETE Daily Circuit will be able to access each circuit through the HYLETE Daily Circuit App. Each circuit outlines a series of daily movements that include detailed descriptions of each movement along with a short tutorial video. Beta Version is now available for free download to both IOS and Android devices. The concept studio encompasses a high tech interactive Daily Circuit Studio with 16 Pods (one pod per person) working out in a reserved pod and time slot (every hour on the hour), with the coaching and motivation of a Daily Circuit Certified Instructor. The club atmosphere allows for all HYLETE members to see and try on the latest apparel, footwear and gear. The balance of the space is intended to be highly effective space for members to work remotely, meet, and enjoy high quality fitness food and drink (also delivered at a value price). These HYLETE Fusion Studios bring together the best attributes of other leading brands, but deliver them at a cost and time savings to our members. This current crowdfunding round is intended to continue our innovation in apparel, gear, and help us introduce footwear to the HYLETE line. Additionally, it will enable us to further expand the quality and depth of our HYLETE Daily Circuit App. 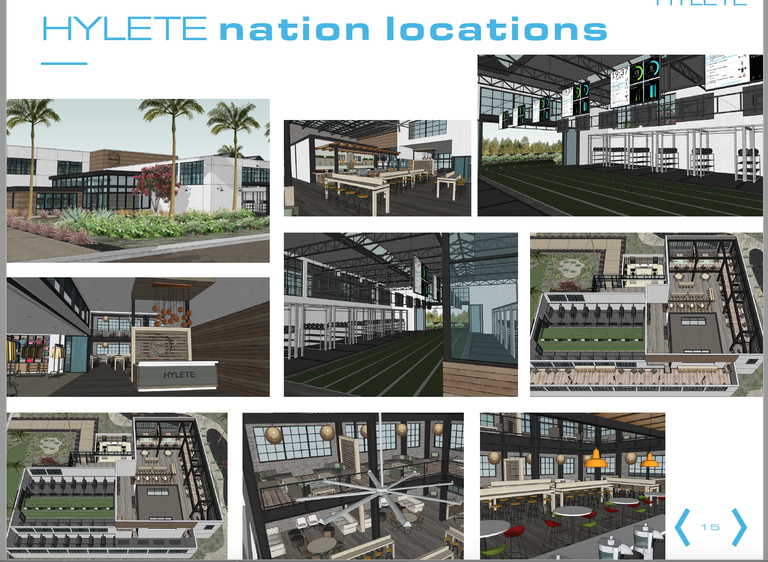 With success in these areas, we will look to a larger crowdfunding round to further build the community-driven HYLETE brand and open the doors to physical HYLETE Fusion Studio locations. Target Offering Amount: This offering is for up to $1,000,000 in total investment. The Company will not accept investment over the Target Offering Amount. Minimum Raise: The minimum total investment for the closing of escrow and the purchase of stock is $250,000. After close of the Minimum Raise, the Company intends to close escrow as funds are raised up the Target Offering Amount. Target Closing Date: The target closing date is on or before April 28, 2017, and if we have not received the Minimum Raise by that date no securities will be sold in this offering, and before investment commitments are cancelled and committed funds returned we will seek permission from investors to close on the amount raised. Investors: Accredited and non-accredited investors who subscribe through StartEngine.com pursuant to a Title III offering. Instrument: The investment instrument is non-voting Class B Common Stock. Stock Price: $1.00 per Share. Number of Shares: Up to 1,000,000 Class B Common Stock shares are being offered. 10% of the lesser of your annual income or net worth, subject to a maximum of $100,000. You may include the income of your spouse for purposes of determining your annual income. Your net worth must exclude the value of your primary residence, and if you have a mortgage on your residence that exceeds its worth, you must include that negative equity for purposes of determining your net worth. Offering Exemption: This offering is being conducted by Start Engine Capital LLC (“Start Engine”), a leading investment crowdfunding platform, pursuant to Regulation CF, promulgated under Title III of the JOBS Act, and specifically Section 4(a)(6) of the Securities Act of 1933, as amended. All investors will automatically receive a VIP Investor account that will entitle them to 50% off all purchases on www.hylete.com (excludes clearance, co-branded, and project items). THE BELOW Q&A SECTION INCLUDES FORWARD-LOOKING STATEMENTS, BASED ON THE COMPANY’S CURRENT EXPECTATIONS AND PROJECTIONS ABOUT FUTURE EVENTS. ACTUAL RESULTS COULD DIFFER MATERIALLY FROM THOSE DISCUSSED IN, OR IMPLIED BY, THESE FORWARD-LOOKING STATEMENTS. FORWARD-LOOKING STATEMENTS ARE IDENTIFIED BY WORDS SUCH AS “BELIEVE,” “EXPECT,” “INTEND,” “PLAN,” “WILL,” “MAY,” “SEEK,” “TARGET,” “ESTIMATE,” “CONTINUE” AND OTHER SIMILAR EXPRESSIONS. IN ADDITION, ANY STATEMENTS THAT REFER TO EXPECTATIONS, PROJECTIONS OR OTHER CHARACTERIZATIONS OF FUTURE EVENTS OR CIRCUMSTANCES ARE FORWARD-LOOKING STATEMENTS. ALTHOUGH THE COMPANY BELIEVES THAT THE EXPECTATIONS REFLECTED IN THE FORWARD-LOOKING STATEMENTS ARE REASONABLE, THE COMPANY CANNOT GUARANTEE FUTURE RESULTS, LEVELS OF ACTIVITY, PERFORMANCE OR ACHIEVEMENTS. THE COMPANY HAS NO OBLIGATION TO UPDATE OR RELEASE THE RESULTS OF ANY REVISIONS TO THESE FORWARD-LOOKING STATEMENTS TO REFLECT ANY FUTURE EVENTS OR CIRCUMSTANCES. We sent out investor account information (and store credits) last week for those of you that are part of the 6th closing on this raise. We still have as many as 200 investors that we are still awaiting funds to clear escrow (and may have not cleared your bank yet). Start Engine is working on allowing the remaining investments to be released to escrow, so that they can then be released to HYLETE (and we can get accounts/store credit set up). I apologize for the delays and this lengthy process (especially for those of you at the end of this round). Thanks again for your investment in HYLETE and have a great week! Thanks again to all of you who invested in HYLETE during this offering! The final closing occurred on April 28th and we should receive all the final investment information (investor names, emails, amounts, etc.) by mid May. As soon as we have this information the final closing investors (those who were not part of the first four intermediary closings), we will send you an email with your HYLETE Investor Account information and your store credit. ALL investors who make the $1M cutoff in this offering, will receive an email from HYLETE via www.esharesinc.com that will give you on-line access to your stock certificates. Everything is electronic, so you will not receive anything in the mail. This email will occur by the end of May. If you invested, but do not make the $1M cutoff, then Start Engine will refund your money. With just 7 days remaining, we are nearing the maximum raise. Thank you! 9 days left and 350% of Original Investment Goal - Thank You!! This Thursday, April 20th, we will officially be launching our HYLETE Daily Circuit App in conjunction with our 2017 Circuit Challenge (for Charity). We had nearly 5,000 participate in last year&apos;s charity challenge and hope to grow that number 10X this year. If you haven&apos;t done so already, you can download our FREE app at the App Store and Google Play. Thanks for your support! Ron Wilson, CEO and Co-founder. Per our offering terms, we will be conducting a 5th closing in as little as 5 business days. If your funds have cleared, you will have up until 48 hours prior to this closing to cancel your investment. We are excited to have all of you who have invested so far in HYLETE to become owners in the company. As soon as possible after this fifth closing, we will be creating investor accounts (and placing respective store credits) for all investors who are part of this fifth closing. We anticipate conducting follow-on closing(s), as appropriate, and as such follow-on investors will receive their investor perks shortly after those follow-on closing(s). We are pleased to announce our Key Performance Highlights for the first quarter (Jan-Mar) of 2017. (Please note that these are based upon internally prepared financials and subject to adjustment at year end upon independent audit by Moss Adams). Total Q1 revenue of $1.9 million, +13% to budget and +31% versus Q1 2016. Added 7.7k new customers and repeat rates per customer were 20% higher than prior year. HYLETE.com revenue +41% over Q1 2016 with improvements in both conversion and AOV. Gross profit margin percentage on target and 280bps higher than Q1 2016. Operating expenses under budget and EBITDA $116k better than plan. Closing balance sheet cash of $1.3 million and net inventory of $1.3 million. Thanks for you interest and support! Question: I did have one question before I complete my investment. When I was reviewing the offering paperwork it mentioned that their was some issues with the trademarking of your logo? Could you elaborate on this a little bit? I saw that you are challenging the ruling and will be pursuing all legal options? Any idea what the costs of such litigation could be? Also any idea when this could be resolved? Update: After asking for reconsideration from the Trademark Board and being denied by the TTAB; we have conferred with our Trademark Attorneys (Procopio, Cory, Hargreaves & Savitch LLP see www.procopio.com/) and currently anticipate filing an appeal in Federal Court. Once again this relates to the Icon that we have utilized on apparel items and NOT our already REGISTERED HYLETE word mark (registered in the US and countries listed above). At this point, we will continue to work closely with our attorneys, but as we have been moving away from this icon use for a while; we will also continue to evaluate the legal expenses of continuing our attempts in obtaining a registration on this icon mark versus its value. Thanks, and have a great evening! Per our offering terms, we will be conducting a 4th closing in as little as 5 business days. If your funds have cleared, you will have up until 48 hours prior to this closing to cancel your investment. We are excited to have all of you who have invested so far in HYLETE to become owners in the company. As soon as possible after this fourth closing, we will be creating investor accounts (and placing respective store credits) for all investors who are part of this fourth closing. Per our offering terms, we will be conducting a 3rd closing in as little as 5 business days. If your funds have cleared, you will have up until 48 hours prior to this closing to cancel your investment. We are excited to have all of you who have invested so far in HYLETE to become owners in the company. As soon as possible after this third closing, we will be creating investor accounts (and placing respective store credits) for all investors who are part of this third closing. Per our offering terms, we will be conducting a 2nd closing in as little as 5 business days. If your funds have cleared, you will have up until 48 hours prior to this closing to cancel your investment. We are excited to have all of you who have invested so far in HYLETE to become owners in the company. As soon as possible after this second closing, we will be creating investor accounts (and placing respective store credits) for all investors who are part of this second closing. We are pleased to announce our Key Performance Highlights for February 2017. (Please note that these are based upon internally prepared financials and subject to adjustment at year end upon independent audit by Moss Adams). HYLETE has substantially exceeded our minimum funding goal, and we&apos;re continuing to accept investments through April 28th, 2017. Per our offering terms, and because our equity crowdfunding campaign has now exceeded the minimum funding goal by over 125%, we will be conducting a 1st closing in as little as 5 business days. If your funds have cleared, you will have up until 48 hours prior to this closing to cancel your investment. We are excited to have all of you who have invested so far in HYLETE to become owners in the company. As soon as possible after this first closing, we will be creating investor accounts (and placing respective store credits) for all investors who are part of this first closing. We anticipate conducting follow-on closing(s), as appropriate, and follow-on investors will receive their investor perks shortly after those follow-on closing(s). We are please to announce our Key Performance Highlights for January 2017. (Please note that these are based upon internally prepared financials and subject to adjustment at year end upon independent audit by Moss Adams). • Added nearly three thousand new customers in January, an 83% increase over last year. • Total HYLETE.com orders of $658k, +72% to prior year and 25% ahead of plan. • Gross margin improvement from 52.7% last January to 55.9% this year. • Operating expenses under budget and EBITDA $78k better than plan. • Closing balance sheet cash of $1.2 million and inventory of $1.4M. To all of you that have invested in HYLETE: Thanks for allowing us to reach our goal amount of $250K so quickly. We sincerely appreciate it! The question that keeps getting asked is: "When will I get my perks of an Investor Account and Store Credit?". The answer is that we will be able to provide these perks once we complete our first Closing - which will be happening soon. Investors that are part of this first Closing will get their perks shortly thereafter.